For this month's blog hop, Designer Crafts Connection members are creating with Fabric Elements. 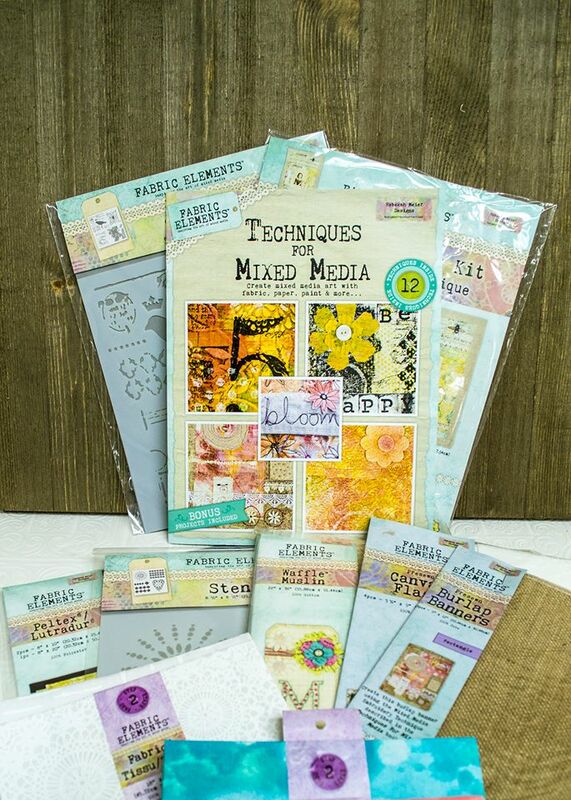 Fabric Elements is a fabulous product line developed by CHA designer, Rebekah Meier. If you are not familiar with the product, you can check it out at Rebekah’s Etsy store (rebekahmeierdesigns). You can also find more information and inspiration on Rebekah’s website, www.rebekahmeier.com. Follow the links below to see how creative DCC members have been with this fabulous product, then comment on their blogs and here on this blog to be entered to win this amazing selection of product. Don't forget to use the Rafflecopter widget below for your entry to be included! Good luck and happy hopping! Can you believe it's almost time to go back to school.... The first clue is the appearance of tons of school supplies in the stores and they're all on sale! What a great opportunity to stock up on markers, journals, paper and a whole lot more. Here are some ideas to inspire you to stock up now, whether you have children heading back to school or not....... Enjoy!